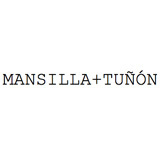 Luis M. Mansilla (1959-2012) and Emilio Tuñón Alvarez (1959) founded Mansilla + Tuñón Architects in 1992. Mansilla + Tuñón Architects is a Madrid based office, dedicated to the confrontation of theory, and academic practice, with design and building activity. They have received the Mies van der Rohe Award and the Spanish Architecture Award.